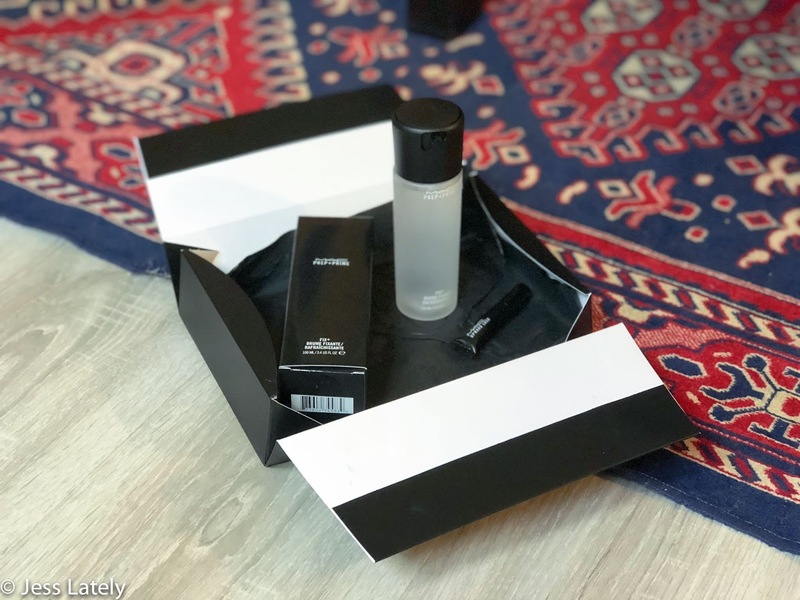 If you look way back into my blog's archive you may find a lil post about this trusty bottle of deliciousness, Mac's famous Fix+ setting spray. 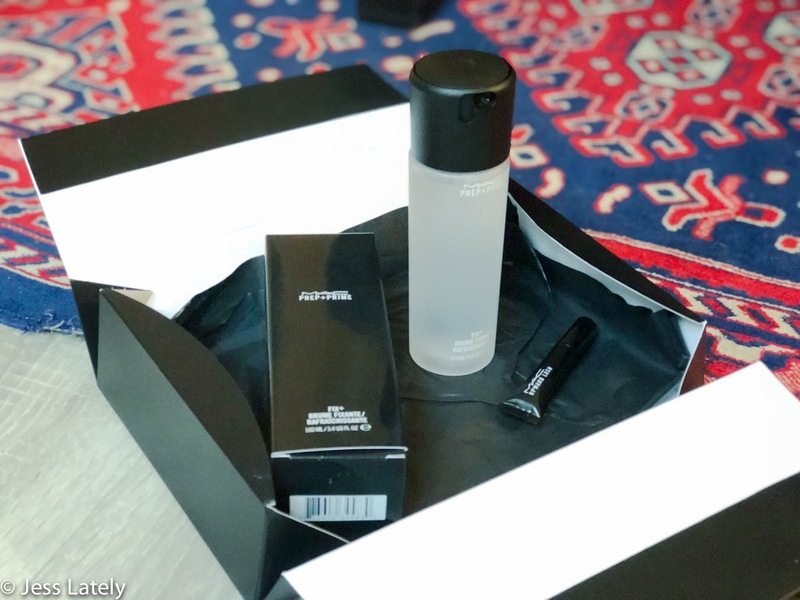 From the moment I got my first bottle I was not only hooked but also pleasantly relieved that I'd purchased a hyped up product that actually lived up to it. Since then it's my one and only setting spray and without a shadow of a doubt, a repeat order from Mac's website. The question is, with two years having passed, is it still as good as before, and what other products could possibly replace it? I'm all about creating simple, not too cakey, makeup looks that appear natural and dewy so this spray made it ten times easier to achieve my desired outcome. However since it's launch there have been many other versions of the orignal Prep + Prime Fix+ that may be worth a try too. Noticeably the original odourless spray has been joined by lavender, coconut, and rose flavours as well as a shimmer and a matte version. For me the flavour (however pleasant) isn't that essential, but I would love to try the shimmer and matte versions to see what difference they can make to the outcome of my looks. On the alternatives side of things, there is a lot of competition for Fix+ nowadays seeing as the setting spray market is of hugely growing success. Some high end successes ranging from between £20 and £40 - Cover Fx Illuminating Spray, Bobbi Brown Primer Plus, Marc Jacobs Beauty Re(cover) Coconut Spray, Makeup Forever Mist and Fix, Too Faced Hangover 3-in-1 Spray, Kat Von D Lock It Spray, Urban Decay All Nighter Spray. Out of these, I'd especially like to try Marc Jacobs' and of course the almighty All Nighter. On the low end spectrum there are some really popular choices ranging from as low as £7 to around £15 - NYX Matte and Dewy Finish Sprays, L'Oréal Infallible Fixing Mist, Gerard Cosmetics Slay All Day Spray, and Milani's Make It Last Spray. Of these I am extremely excited to try Gerard Cosmetics' Slay All Day to see what all the hype is about, and wouldn't mind checking out Milani's long lasting spray either. Is Mac's Fix+ still your favourite? What are your current faves? I think Mac's fix plus was my very first setting spray! Skindinavia's bridal setting spray is my favorite! It’s an essential for sure! I must try skindinavia, I’ve heard amazing things!